Home » PA DEPT. » Outboard FX etc. 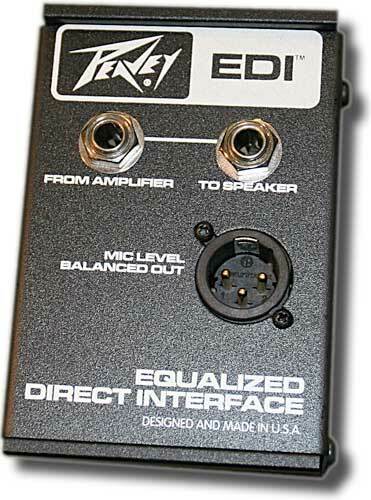 Speaker level DI box, - takes it's signal from the loudspeaker output of your guitar amplifier, and feeds it into the PA. This means that all the sound of the amp is captured, and giives a result similar to miking up the cab, but with no feedback or crosstalk worries. There is also a cabinet simulator built in.